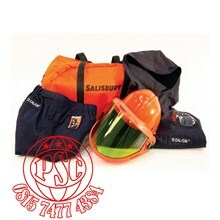 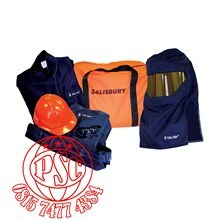 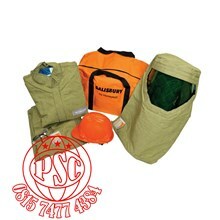 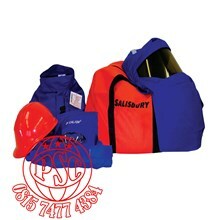 Salisbury PRO-WEAR® Arc Flash Personal Protection Equipment Kits are available in an ATPV rating of 55 and 75 cal/cm2*. These kits contains an arc flash coat, bib overalls, PRO-HOOD®, hard hat, SKBAG, and safety glasses..
NEW 2-COLOR PRO-WEAR Arc Flash Protection PPE Kits available . 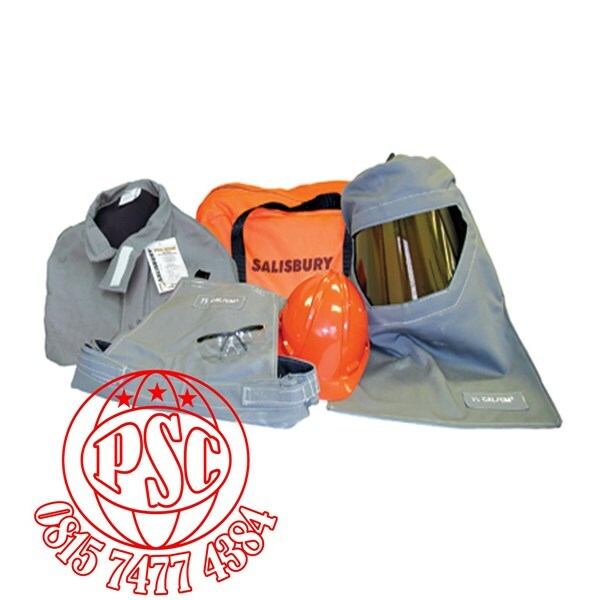 Important : NFPA 70E does not have a Hazard Risk Category above 40 cal/cm2. 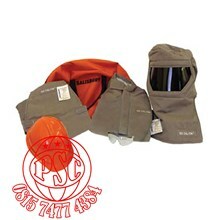 Working on levels above 40 cal/cm2 should be avoided because of the blast hazards caused by arc flash.